Carrots too young to seed? One of my dragon carrot’s has gone to seed. It’s shot up a 1.5m stalk and has about 6 clumps of flowers growing on it. Logic tell’s me to wait till the flowers / seeds start turning brown and chop them off the plant. However I did a bit of digging around and strangely enough carrot’s are biennial and therefore aren’t supposed to seed till the 2nd year of their life?? These carrot’s are only 6months old so not sure what’s happening. Perhaps because their an heirloom variety they seed early? I can’t find any information specifically for Dragon Carrots. 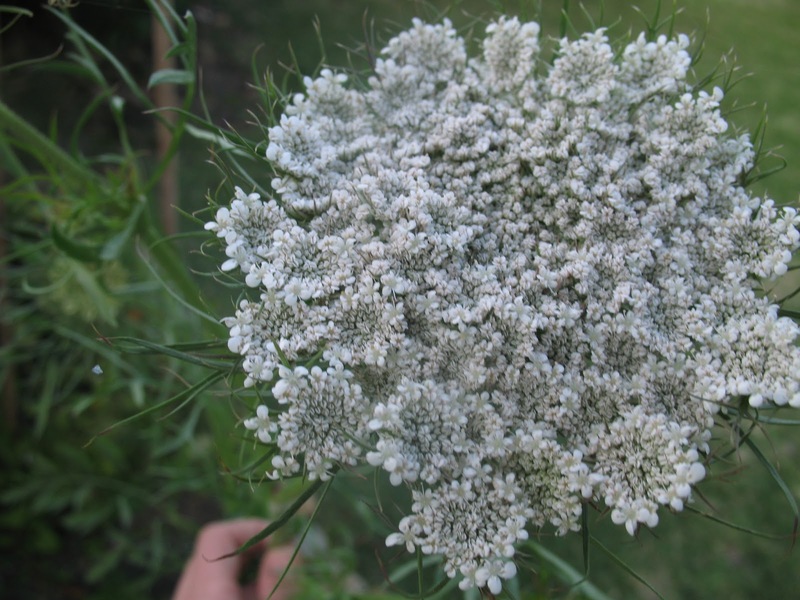 Many sites I checked out suggested that you should only save the seeds from the first 2 flowers to sprout as these will produce the biggest and best carrots. Also to ensure genetic diversity, and good produce, you should collect from 40 or so different carrots. That’s going to be hard given I only have about 10 in the ground and I want to EAT them. Which does ask the question, what happens to the carrot when it goes to seed? Can I still dig it up and eat it? Does it lose flavour / color / shape? I’ll post more as I know. !